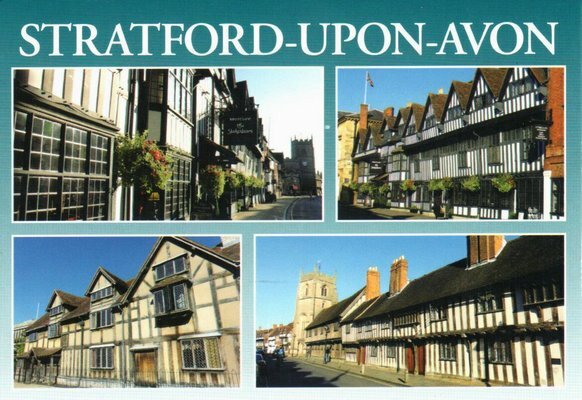 Stratford-upon-Avon is a market town and civil parish in southWarwickshire, England. It lies on the River Avon. 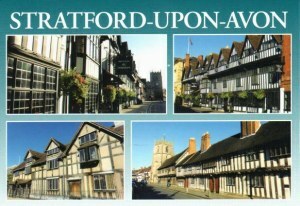 The town is a popular tourist destination owing to its status as birthplace of the playwright and poet William Shakespeare, receiving about 4.9 million visitors a year from all over the world. The Royal Shakespeare Company resides in Stratford's Royal Shakespeare Theatre, one of Britain's most important cultural venues.